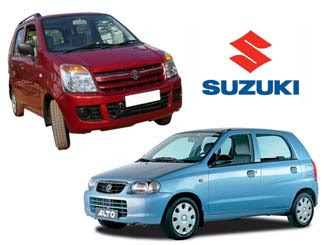 Maruti Suzuki will discontinue old engines of its small cars- Maruti Wagon R and Maruti Alto. The process of renewing its engines are moving with entire product line. The company will now replace 1.1L engine of Wagon R with its new series engine and the new 800 cc engine to be shifted in Alto. It will also be capable to lower the prices of the model, Which will increase the advance sales. It's new KB series engines are already present in latest Maruti cars such as Maruti A-Star and Maruti Ritz. Maruti has coded the name of new engine as the YP3 engine. These models will meet to the new Bharat IV emission norms that come into effect from April 2010. New KB Series engines are giving a extremely good fuel efficiency. The yet-to-upgrade Alto and Wagon R will become more powerful and are said to be a revolutionary change after the KB Series engines. Maruti Suzuki India’s managing director S Nakanishi already feels, 2010-11 will be toughest year for the company that has ruled the small car segment in the country unceremoniously. This comes as a strategic business move from Maruti Suzuki, company will face new competition challenge from global biggies like Ford, Nissan, Volkswagen, Honda and General Motors, who are intends to roll out their small car models in India within next 12-18 months. Ford Figo and Tata Aria are the next generation cars in India, these models are expected to be introduced soon as well as possible.